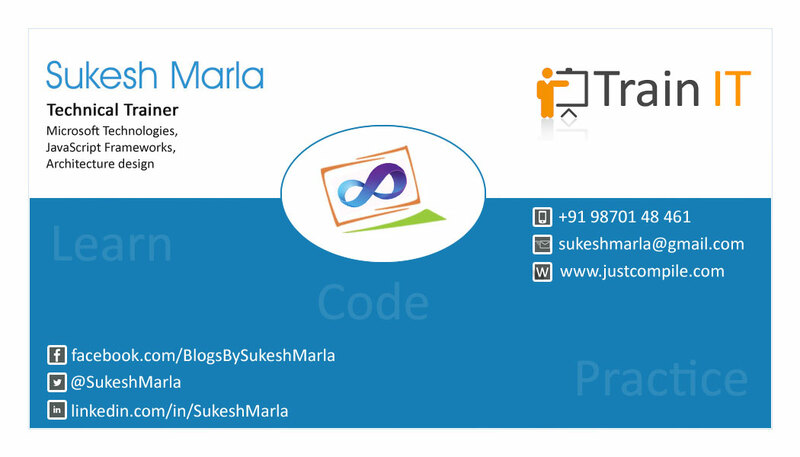 Sukesh Marla: .Net Interview question Edition 6 is available now. .Net Interview question Edition 6 is available now. It’s almost more than 5 years I have been working with Microsoft technologies. Initially just like others I was also interested in learning and was desperately looking for challenging works where I can learn, grow and prove myself. 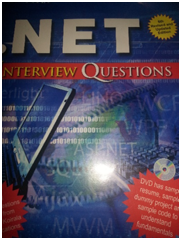 Just after I switched my first company I met few people around who were reading some sort of book called “.Net interview questions”. To be honest I didn’t liked it. At that time I was one of the struggling guy who was desperately trying to improve in terms of technology and communication in order to, first cross the interview and then to earn a respectable position in an organization. At that time I created a small document containing all the interview questions I faced. I was using them as a reference document. When I saw that now without putting any effort people were getting all question with answers I got sad, because I thought now everybody will cross interview and there will be no value for knowledge. But competition!!! I purchased 4th version of these book so that I can stand head to head with other developer. I started reading and I realized questions I collected were not even 5% of what we have in this book. I was really amazed, because each and every question I faced during my 1.5 years of experience was there. I realized lots of things like “A book cannot let anybody cross interview”, “No one will become a great developer by just reading that book”, But “It can really become a golden sword for those developers who really believe in hard work, improvement and learning”. I was using that book as a reference/revision book for my interviews. The ultimate quality of the book which I realized was the fact that how much less I know about technology and industry. I very strongly prefer each and every .net developer to have this book. Its fine you know the concept, its fine practically you can do miracles, but who believes you? Who are you? If you want to prove yourself, if you want to fight the battle, first you need to enter the battle arena. Interview is the door for that battle arena which every developers should cross. 1. Realizing what you still need to learn? 2. Revise everything you learned. 3. Creating a good resume. 5. Test yourself with the help of self-assessment sheet. The great news is 6’Th edition of this book is out just a few days back. I really wanted to read that book and you know what just two day back I received a courier from questpond containing same. I am feeling great, because Mr.Shivprasadkoirala personally sent me the book and that’s great honor. I got astonished when I open the book and completed reading first page of the book.Thank you sir for such a great opportunity! I am a live example who had seen how this book has changed lives and careers of many people. I know Mr.ShivprasadKoirala personally and he is really a great guy. He strongly believes in social work and helping people. With such interview question book and user group seminars he became super hero for many people. I am a big fan of him. The effort he had put on this book is huge which can be easily seen by anyone who have this book. One of the great part of this book is, this book not only talks about technical questions in .net world, but also about non-technical stuffs in Project manager and HR world. In 6’th edition some old questions were removed which made me feel bad…but later I realized it’s no more required , new questions based on MVC and other new concepts are added. 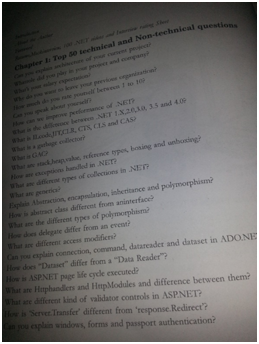 But my all-time favorite is top 50 technical and non-technical questions – A Quick last minute revision section. This is an ultimate book for everyone. According to me every .Net developer from Jr programmer to Project manager should have this book. My hearty congratulations not only to Mr. ShivprasadKoirala but also to every single person who is follower of this book. Hope we will get a chance to look into many more editions of this book. 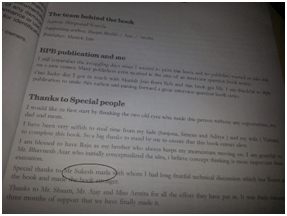 Its a wonderful book & Gift to al d .NET developers .I hv it ,Tons of thanx to ShivPrasad sir ..!! Its a Wndrful Book & Gift to al d .NET developers around d universe. I hv 5th-Edi..Tons of Thanx to ShivPrasad sir.!! The way you have commented about the book ... I guess I'll go and buy one... :D Wonderful writing!!! can we get the soft copy of it Sir ? Yes I also agree this book is amazing... but please share if anyone has soft copy of it..
soft copy will be difficult. I want to buy this book. can you please help me out on where to buy this 6th edition book. Contact questpond@questpond.com they might help.